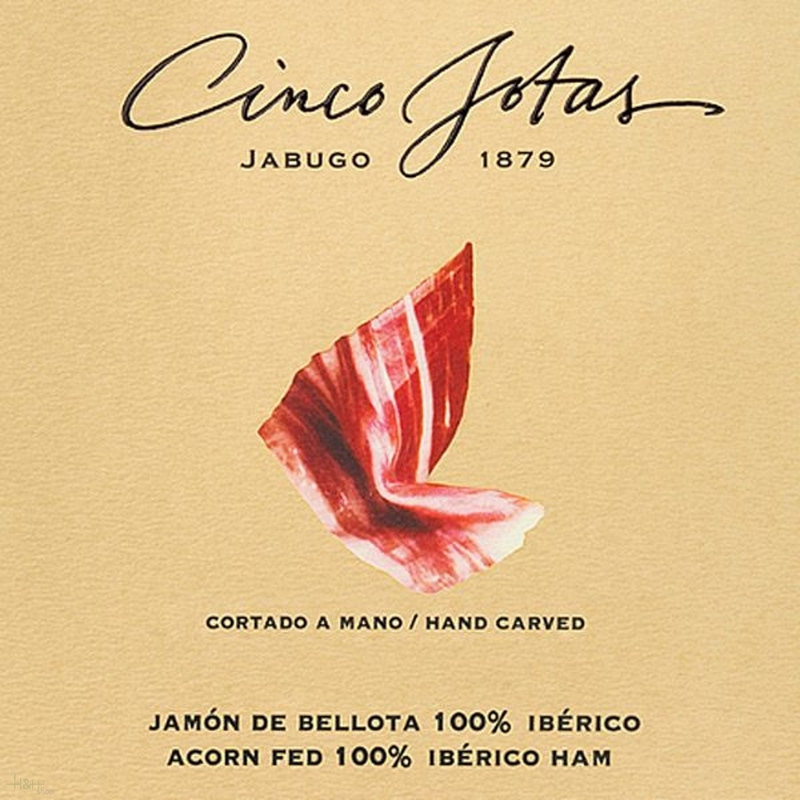 This ham is made the hind limbs of 100% pure Iberian pigs reared in the vast pastures of the Iberian Peninsula, and fed on acorns during the 'Montanera' fattening period. 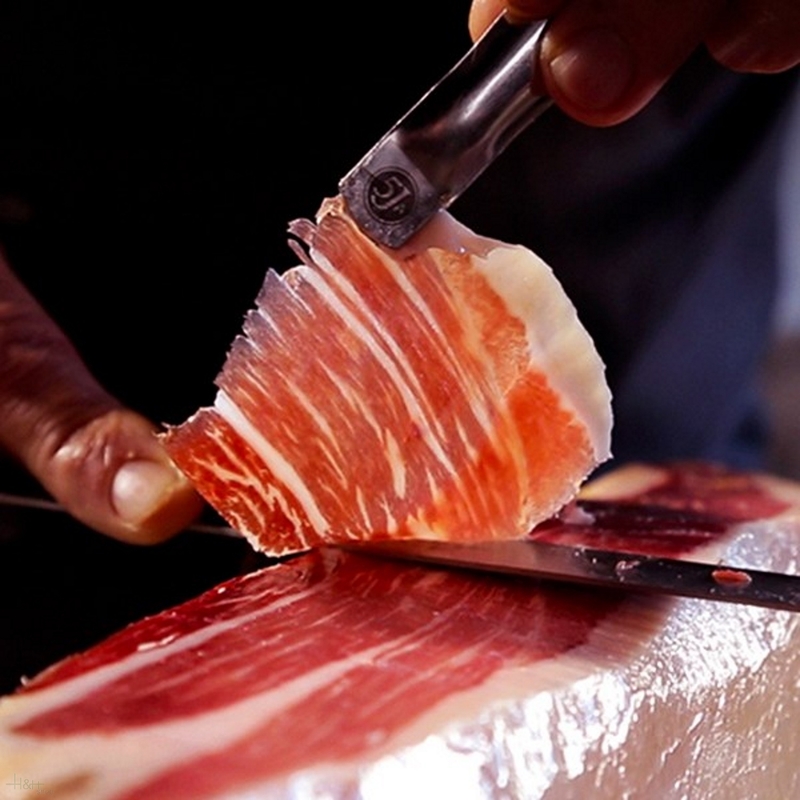 During the production process, the ham is cooled, the skin is cut in the characteristic V-shape and the outer fat is removed. 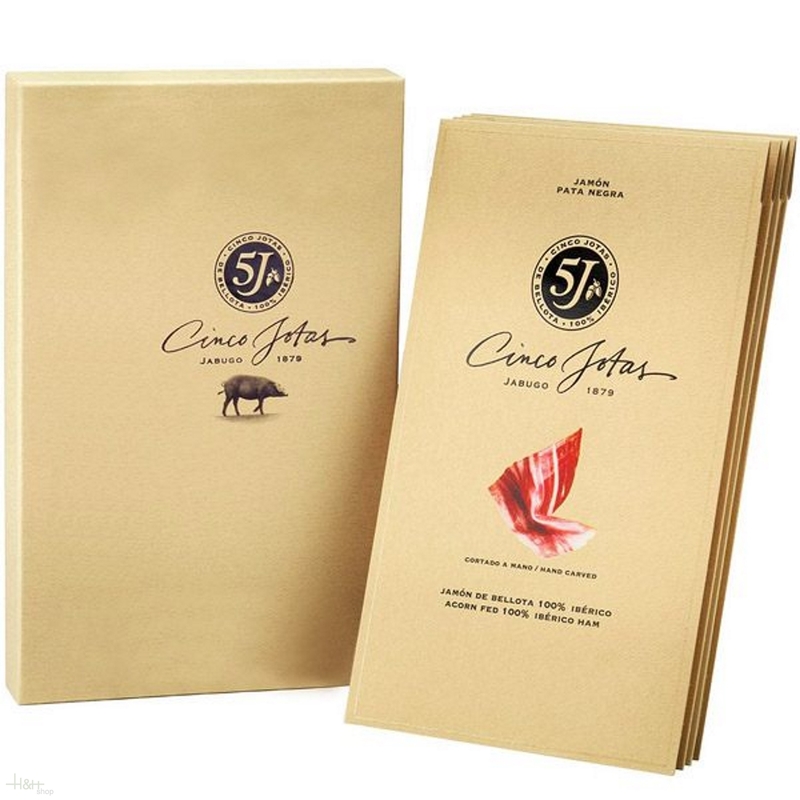 It is then cleaned, salted, weighed, dried and cured in natural cellars in the Jabugo region in the south of Spain. 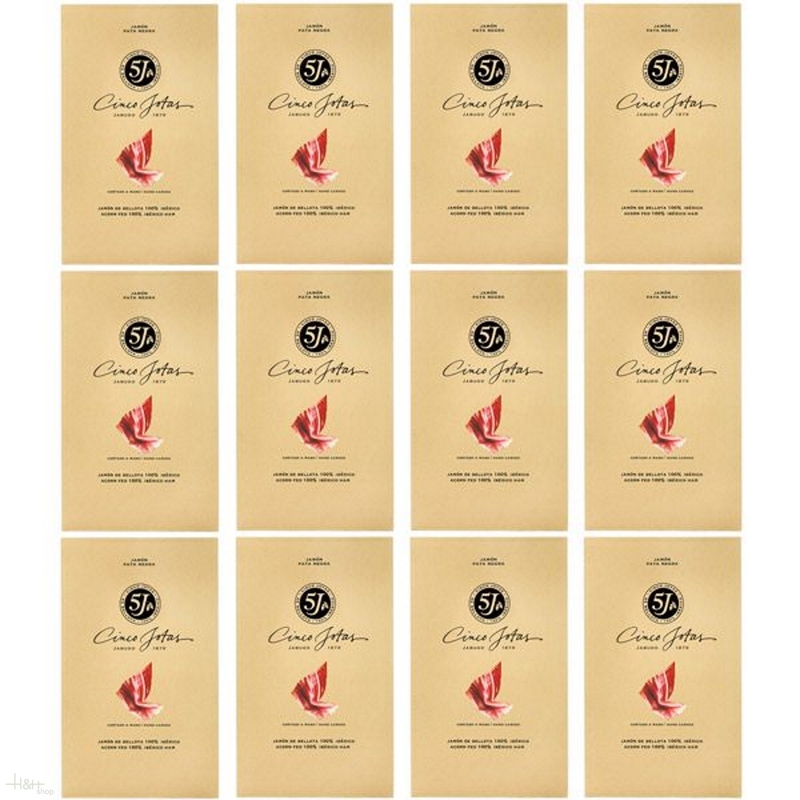 Once the hams have been cured to their optimal point in cellars, they go through a rigorous selection process to ensure that only the best hams, which reach the most exquisite organoleptic standards and offer unrivalled quality, are finally chosen to bear the distinguished ‘5J’ label. 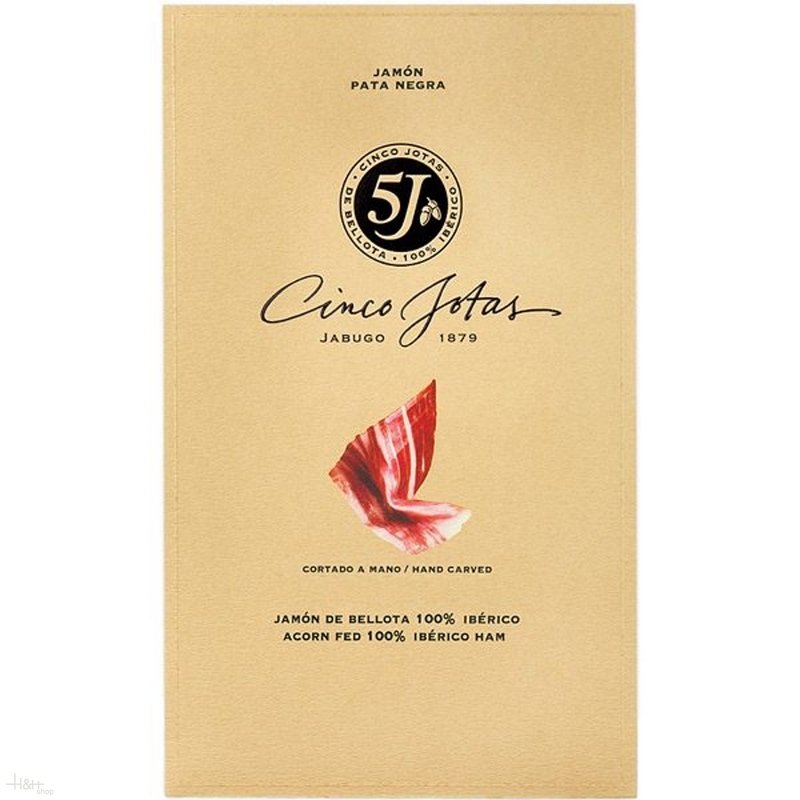 '5 Jotas' Acorn-Fed Pure Iberian Ham has an incomparable taste and bouquet with a lingering aroma. When sliced, one can appreciate its uniform colour with myriad shiny streaks of infiltrated fat. Presentation: Vacuum-packed loin, inside an attractive cardboard display.